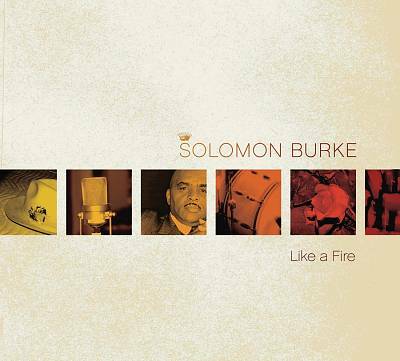 Like a Fire opens with its title song, one of two new tunes Eric Clapton gave to Solomon Burke for this album, and from the first notes this sounds very much like an Eric Clapton album. Unfortunately, the Clapton albums it most clearly recalls are Pilgrim, Reptile, and Back Home, albums that have little to do with the power of the blues and instead feel like something polite and tasteful you can play while you're having a cookout with the neighbors on a sunny Sunday. In all fairness, Like a Fire isn't as spineless as that makes it sound. As one of the greatest singers in the history of Southern soul, Burke is incapable of delivering a boring performance, and he's in typically splendid form on these sessions, finding more in the nooks and crannies of this material than most anyone else could discover. And producer Steve Jordan assembled a fine band for these sets, with Jordan on drums, Danny Kortchmar on guitar, Larry Taylor on bass, and Dean Parks on steel guitar, and Ben Harper and Keb' Mo' sound fine in their cameos. 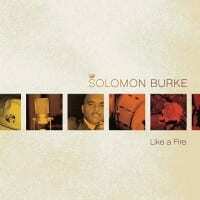 But at heart, Like a Fire seems to have been influenced not so much by classic soul or blues as by anonymous adult contemporary, as if Jordan was hoping to make a Solomon Burke album that would appeal to a mature, thoughtful listener. Of course, Burke has been making mature, thoughtful music since he first set foot in the Atlantic Records studios in 1964, but that was music you could dance to, cry with, and feel in your heart and soul. Like a Fire usually sounds too polite and reserved to bring out a strong emotional reaction in anyone, and while Burke's powerful vocals bring some force and fire to these recordings in spite of themselves, this master is better heard in more deserving surroundings; try Don't Give Up on Me or Nashville instead.